Many of Madhur Jaffrey's books have an Indian slant, but she's most famous for her 1999 tome Madhur Jaffrey's World Vegetarian. 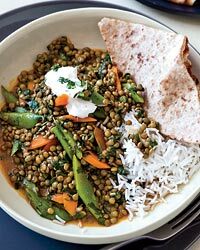 While she often follows the Indian tradition of serving several small dishes together, the lentil-vegetable curry here is a Western-style main course. Eaten over rice with yogurt, it's a very satisfying meal. Deborah Madison became a hero to vegetarians in the late 1980s, when she published the Greens Cookbook. She became a household name when her 1997 tome, Vegetarian Cooking for Everyone, turned into a phenomenal best seller. 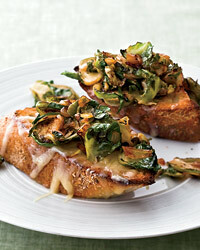 She owes her success to simple, inventive recipes like this open-faced sandwich. 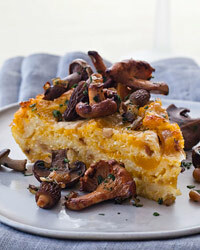 Heidi Swanson, author of 2007's Supernatural Cooking, has already proven she's a master at creating amazingly healthy and tasty vegetarian recipes with very few ingredients. 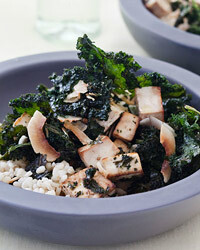 Here, she toasts kale, coconut and tofu until lightly browned and crisp, then tosses them with brown rice.